If that does not work - then contact support. Yes we are trying to publish from JTest IDE Plugin. But I achieved to publish to DTP from C++Test IDE Plugin (For example VS IDE). 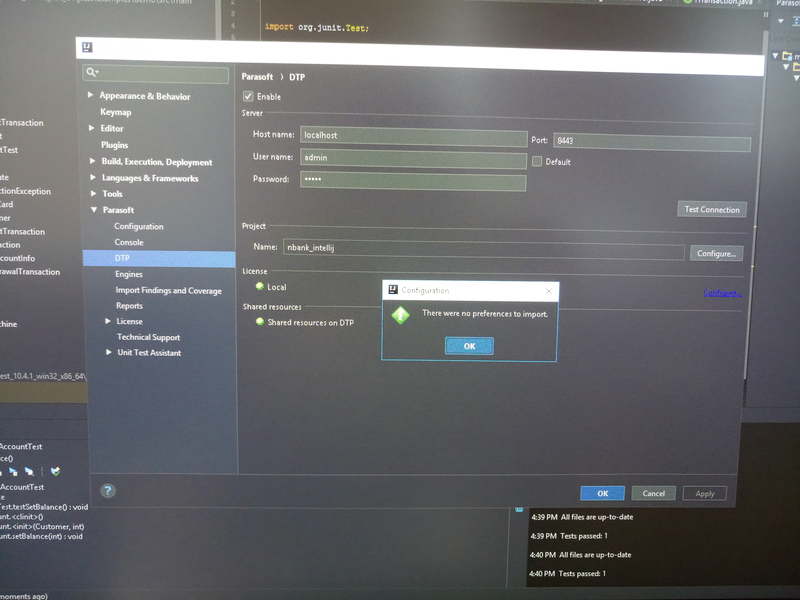 Why I can not accomplish to publish to DTP from JTest IDE Plugin? It is weird. Because DTP Publish situation are ok from for example Visual Studio IDE plugin. But is not possible for Intellij IDE plugin for instance.